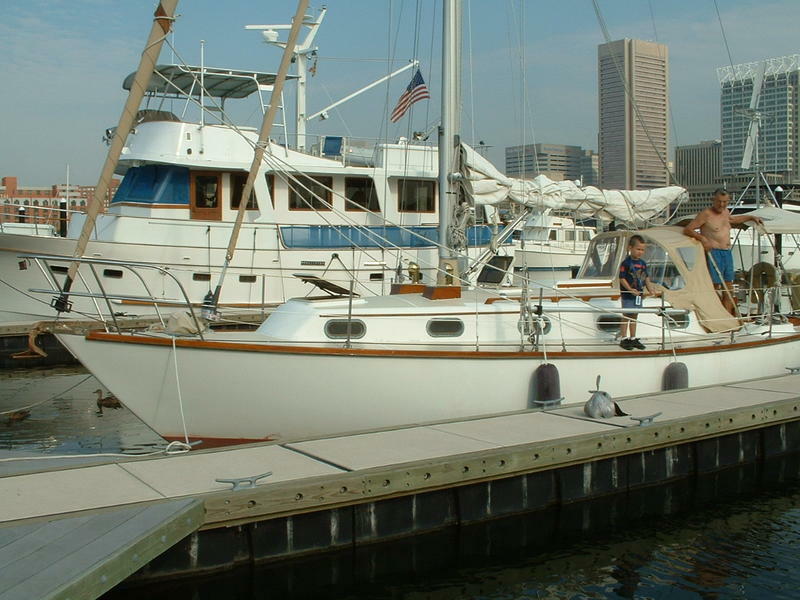 1983 Cape Dory 33, Hull Number 103. 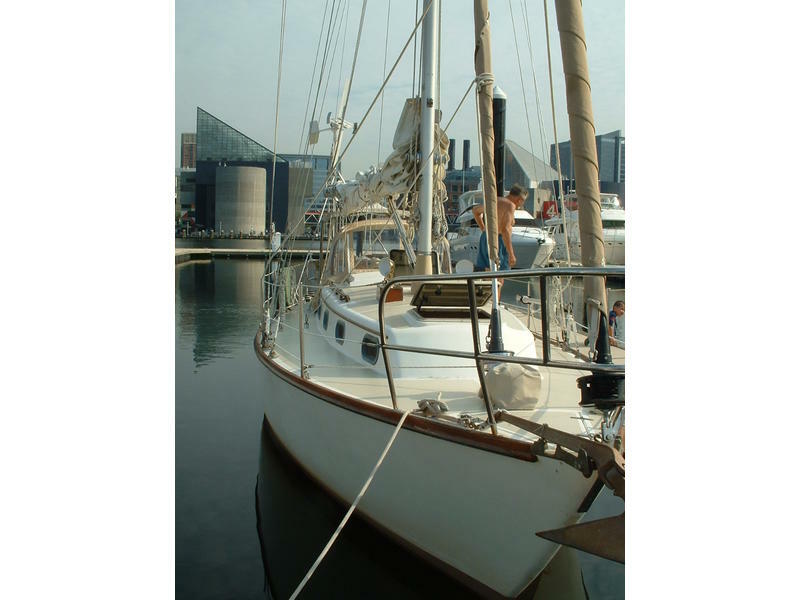 24 hp Universal diesel, cutter rig with roller furling jib and staysail. 4 sails in good condition. All standing and running rigging installed new in 2001. Electronic and navigation gear include Autohelm ST 5000 Pilot, Furono GPS, Datamarine Depth sounder, speed indicator and VHF Radio. Electrical equipment includes a Four Winds generator, 120 amp alternator with voltage regulator and a 440 amp. house battery bank. Extensive cruising gear inventory with three anchors, 200 ft. of anchor chain for Caribbean anchoring, full canvas, and two propane tanks in vented aluminum containers. 2006 new refrigerator. 2010 New transmission, new motor mounts, new all grip on the deck. Anti fouling paint applied 2011.